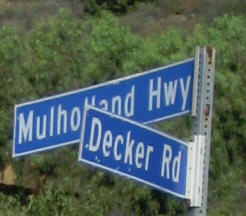 Mulholland from PCH to Little Sycamore – Lots of variety and just plain fun. It starts off easy and lets you warm up. The road is in great shape all the way up to the top. It is fairly long, 7 miles to the top out point. If you can get from PCH to here in less than 30 minutes my hat is off to you. 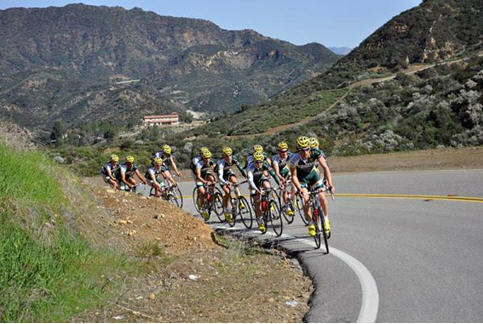 It is one of the most classic roads in Southern California and even with that there is very little traffic on it. I have often been up it with no cars passing me. 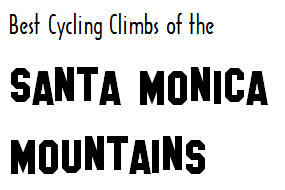 It gives you a great rest section early on and offers one of the best sections of flat canyon riding in all of the Santa Monica’ where you can thump it at pretty amazing speeds. I’m trying to think of one but I can’t.